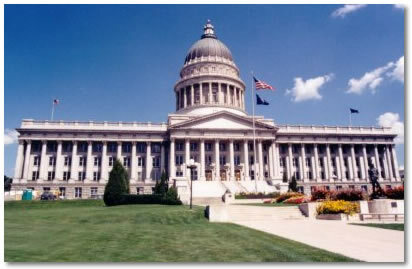 Utah Grants | Utahgrants.org What grants do you qualify for? Utah Home grants are specifically intended to help those in need, and therefore do not include interest or require payments. The majority of these grants are based on income, debt ratios, and of course credit score. Step 1 of 3: County Search for Homes with Grants/No Money Down. Realty Experts and SecurityNational Mortgage Company Inc. provide this website for informational and marketing purposes only. The information provided is deemed reliable but is not guaranteed and should be independently verified. Disclaimer: No statement on this website should be considered a commitment to make a loan or provide grant funds. Loans are subject to borrower qualifications, including income, property evaluation, sufficient equity in the home to meet LTV requirements, and final credit approval. Approvals are subject to underwriting guidelines, interest rates, and program guidelines, and are subject to change without notice based on applicant’s eligibility and market conditions. Refinancing an existing loan may result in total finance charges being higher over life of loan. Reduction in payments may reflect longer loan term. Terms of the loan may be subject to payment of points and fees by the applicant. Grant funding is provided by many third-party entities, including cities, counties and state governmental agencies, and is not provided by, committed by, nor guaranteed by SNMC or it’s employees. SNMC is an Equal Housing Lender. NMLS# 860418 – CO.NMLS# 3116.